Compliant with new Country of Origin labelling laws. Print your chosen Country of Origin Label directly via the scale. 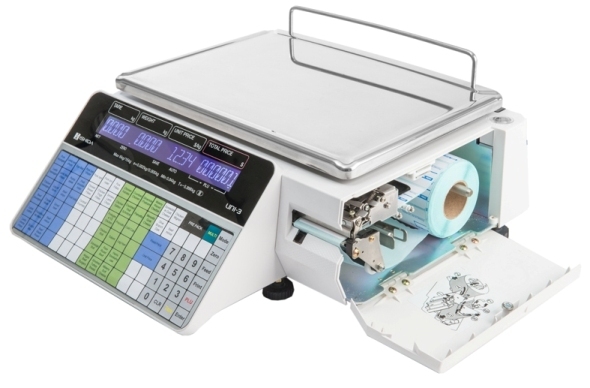 The Label Printing Scale / Labelling Scale is ideal for Deli's, Supermarkets, Fruit & Veg Stores etc as a pre-pack scale. The Barcode Labeling Scale has an "Auto Print" function that allows for rapid pre-packing of the same item type. ie. 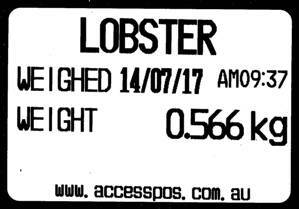 set the scale to, say, 'Fetta Cheese'. Each time a tray of 'Fetta Cheese' is placed on the scale, a product label automatically prints. Labels are of a free form design allowing you to tailor them to suit your own business needs. Typical label detail may include; product ingredients, cooking / preparation instructions, "packed on" date, suggested 'use by' date, price or weight embedded barcode, product weight, selling price per kilogram, calculated selling price, your business name, address and even your own logo. The Label Printing Scale has up to 78 product preset keys (156 with shift level) on the operator keyboard for one touch registration (excludes function keys) although several thousand products can be programmed utilising product look-up codes. The maximum label size is 64mm (Width) and 175mm (Length). The inbuilt thermal printer produces labels at 100mm per second. Access POS stocks pre-printed 58 x 40mm and 58 x 60mm (suggested for ingredient printing). Custom order for other sizes. Initial Programming and setup is included in the price (Label Format Configuration, System Options & Preset Keys). After your purchase, an Access POS representative will contact you to discuss the various programming options prior to freighting the Label Printing Scale. Optional Scale management Software can be supplied to allow easy product database management and label design. 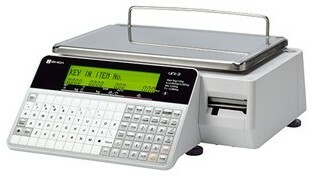 The Cash Register Receipt & Label Printing Scale comes standard with a computer network port (LAN Port) for easy connection to your Microsoft Windows based PC. 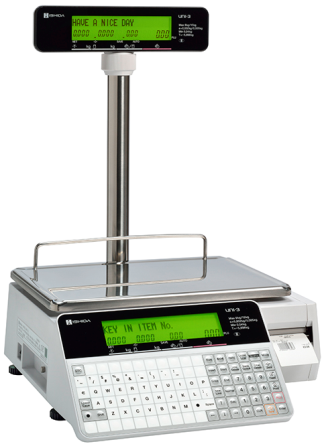 A scale used in a retail environment must be inspected / certified prior to use. After which, a certification stamp is adhered to the scale. 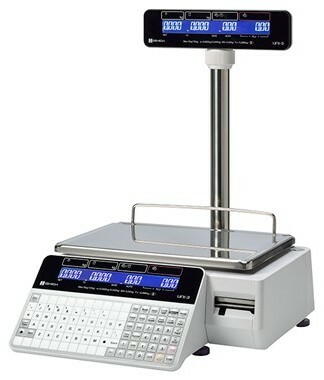 This ensures that the scale is correctly weighing items. This is required under consumer protection law. As an option, Access POS can organise this certification prior to delivering the scale to you. Once your have generated your required label version, the Labelling Tool will allow you to download a file version. Select the orientation to be "Landscape" and the file type to be "PNG". You can then email the downloaded file to your Access POS sales representative. PROSPA PAY Buy over 13 weekly payments of $ 143.85 (ex. GST). No Interest ever and No Fees if you pay on time. Contact Prospa Pay online at PROSPA PAY or call 1300 706 983 for a simple over the phone application. No obligation. SILVER CHEF Rent-Try-Buy. Rent from $ 23.73 (ex. GST) per week for a minimum of 12 months before you decide to either Buy (with 75% of prepaid rental being deducted from the original cash price), Upgrade or Return at no further obligation. Apply online at SILVER CHEF or call 1800 337 153 for a simple over the phone application. No obligation. 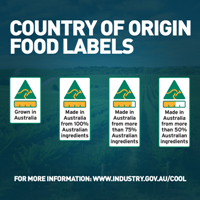 Synopsis: The Australian Government has introduced a new country of origin food labelling system, which commenced on 1 July 2016. 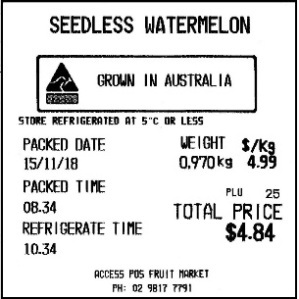 Under the new system, country of origin labelling requirements come under Australian Consumer Law. The new law was made mandatory on 1 July 2018. Synopsis: Access POS has just completed major renovations to its office and showroom located in the central Sydney suburb of Hunters Hill. Synopsis: Access POS has been quietly selling Cash Registers and POS Systems to our Pacific Island friends for many years. In the last few weeks we have seen a number of Cash Registers sales to Tonga. Could you please flick this through to Martin I was just speaking to him on the phone and didn't grab his email! Ps we love the system! !